Sweden is known as a country of diversity, from its northern lights, award winning food, rich culture and tradition to its midnight sun and modern design. It is the perfect destination for your next incentive programme. Stockholm, located in the heart of Scandinavia and the capital of Sweden, is connected by fifty seven bridges and built upon fourteen islands. Stockholm is heralded for its design, fashion, literature and music. From the trendy streets of Stockholm with its copper roofs and bridges to the beautiful cobblestone streets of the old town, Stockholm offers visitors both the old and the new. If you are looking for world class seafood, high quality restaurants and a beautiful coastline and archipelago to die for, then Gothenburg is the place to be. 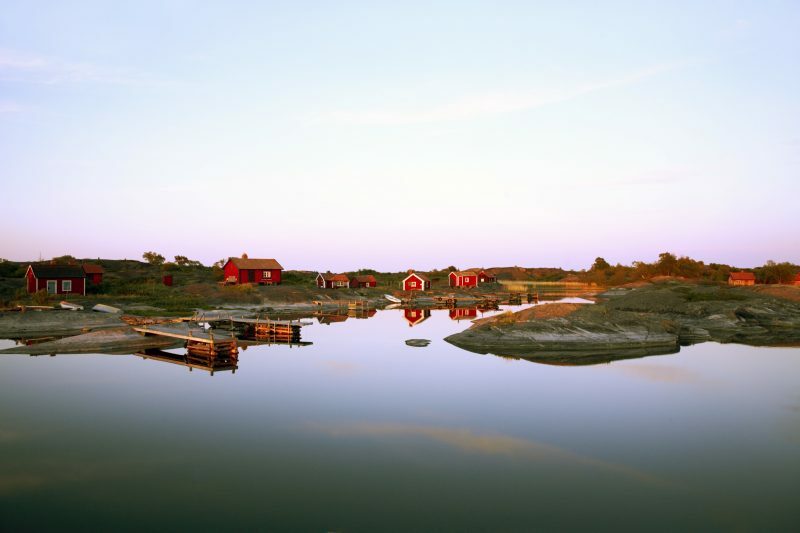 From kayaking and canoeing to a lobster safari, Gothenburg is truly a unqiue destination. It is time to tick off your bucket list and see the northern lights. The Kiruna region in Sweden is located within the aurora oval zone, where solar particles collide with gases in the earth’s atmosphere, creating colourful ribbons of light. It is said to be one of the best prerequisites in the world to see the beautiful and magical experience that is the northern lights. Whilst in Luleå, you can head out and explore the wilderness of the Brandö forests, go dog sledding, ice driving and sit around the warm campfire sharing stories with one another, and perhaps catch a glimpse of the northern lights. You could even sleep in a hotel made out of ice! There is really no place like Swedish Lapland. The most popular way to see the archipelago, which is a cluster of some 30,000 islands, skerries and rocks spreading 80 km east from the city into the Baltic Sea, is by ferry. Once you arrive, you can do numerous activities, including boating, hiking, fishing, sea kayaking, biking, swimming and ice yachting. The main square, Stortorget, is the centre of Old Town and near the main attractions on the island. These include the baroque style Royal Palace called Kungliga Slottet and The Royal Chapel called Storkyrkan. Today, there are around 3,000 people living in the old town, filled with cafés, restaurants, tourist shops, galleries, studios and museums. Watch the changing of the guards at the Royal Palace during the summer, get regaled by the horses and military band, and dine at Den Gyldene Freden, which serves the best traditional Swedish cuisine and is Stockholm’s oldest existing restaurant! For theatre, be sure to visit Drottningholm Court Theatre, one of Europe’s finest 18th century theatres. Visit inside the beautiful gates of the Royal Palace, the Great Church, the Royal Armoury and the Royal Treasury. In the heart of Stockholm lies the Royal Dramatic Theatre, a stunning gold-detailed, art noveau style building at Nybrokajen. Take a guided tour to go backstage in this beautiful theatre, or indulge in some opera or ballet at the Royal Swedish Opera house – a splendid neo-classical building built in 1897. Uppsala and Sigtuna both lie just north of Stockholm, and make for a perfect day trip destination. One can find enchanting historical, cultural and modern-day treasures in both places, and are definitely worth a visit. In Uppsala you can explore the Medieval, Gothic parts, as well as learn about the legends of the Svea kings and gory human sacrifices. Whilst in Sigtuna, walk around the cobblestone streets and learn about Sweden’s first town, founded in AD 980, at the Sigtuna Museum and unlock the town’s more than 150 rune stones. For small town charm, Medieval and Viking history and cafes amidst beautiful surroundings, visit Uppsala and Sigtuna. The Aurora Sky Station situated in the Abisko National Park is made for viewing the most magical light show on earth – the Northern Lights. This location, with its permanently cloud-free skies, will offer you the best seats in the house. Visit the Abisko Mountain Station and take a chairlift to Aurora Sky Station, indulge in a well prepared gourmet dinner, sit back and watch the most beautiful show you will ever see in the sky. In the height of summer, it is non-stop daylight here. Get your ski gear ready and ski at the exotically remote Riksgransen or get your clubs and play golf at any time of the day. Mountaineers and hikers really appreciate the main Swedish Lapland mountain resorts, including Abisko, Björkliden and Riksgränsen, where they can climb Sweden’s highest mountain – Kebnekaise. Stay at the world famous Ice hotel, where you will have a once in a lifetime experience of eating meals off of ice plates, drinking wine from ice glasses and sleeping in a hotel made of ice and snow! Not a fan of ice? You can also stay at the Tree hotel, which is a collection of luxury tree houses.